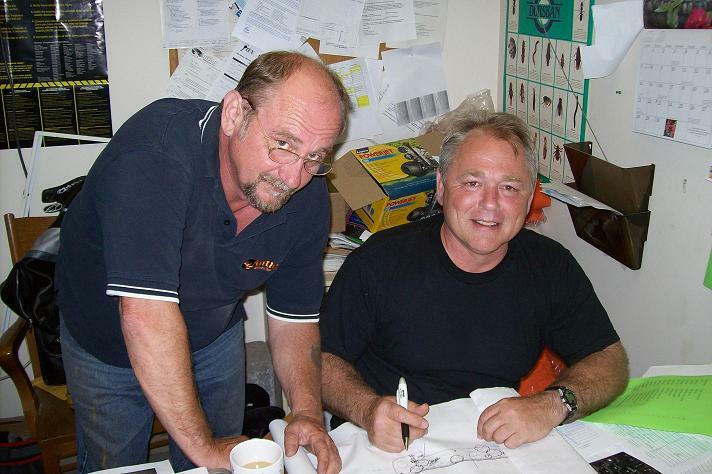 In business for over 35 years, Antler Services is locally owned and operated by brothers Syd and Dan Antler. Both are very knowledgeable in various fields of the horticulture industry. Together they have earned many accreditations, which reflects the manner in which they conduct their business. We continue to strive for excellence in all aspects of our business. We are very proud to be a part of the Brantford community. Antlers continues to be a strong supporter of the Brantford S.P.C.A., Participation House and the Brantford Food Bank. We are able to service homeowners, businesses and larger industries. From design to construction, maintenance, and pest control service, our customers and quality of work remains our main focus. Our staff work tirelessly to ensure your complete satisfaction and it is our ongoing mission to provide the best service and the best customer satisfaction possible. At Antler Services, we pride ourselves on offering our customers responsive, competent, efficient service. We are thrilled to offer this program. There is absolutely no fee for this Preferred Customer Loyalty card. At Antler Services, we pride ourselves on offering our customers responsive, competent, efficient service. As a family owned, locally operated company, our customers are the most important part of our business and we work tirelessly to ensure your complete satisfaction. Our new Preferred Customer Loyalty card helps us ensure our customers are rewarded for their dedication and loyalty to our company. 1% of all your purchases (including lawn care/landscaping/pest control payments) are put back on your card. 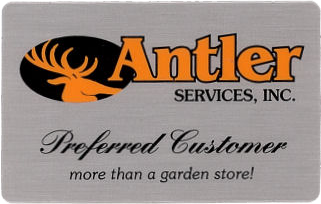 Points can be used for ANY service Antler Services offers, such as; Landscaping, Lawn Care, Equipment Service & Sales, Pest Control and in our Retail & Garden Centre. You may redeem your points at any time – towards anything – or save them up to splurge on an item you’ve been eyeing for awhile! Just mention that you have a Preferred Customer Loyalty card when you call us to make a payment or when you stop by our showroom and we will add the points to your card for you. To sign up today, please stop in to the retail store. Interested in becoming a member of the Antler team? Check our current openings! To join our loyalty program please fill out the following in full. Once confirmed we will add you to the program and send your loyalty card to you in the mail.